Beverly Hills Polo Club brings to you world-class fragrances selected individually that keep you fresh all day long! A wonderful addition to your fragrance collection, these deodorants embody luxury, elegance, self- confidence and comfort. 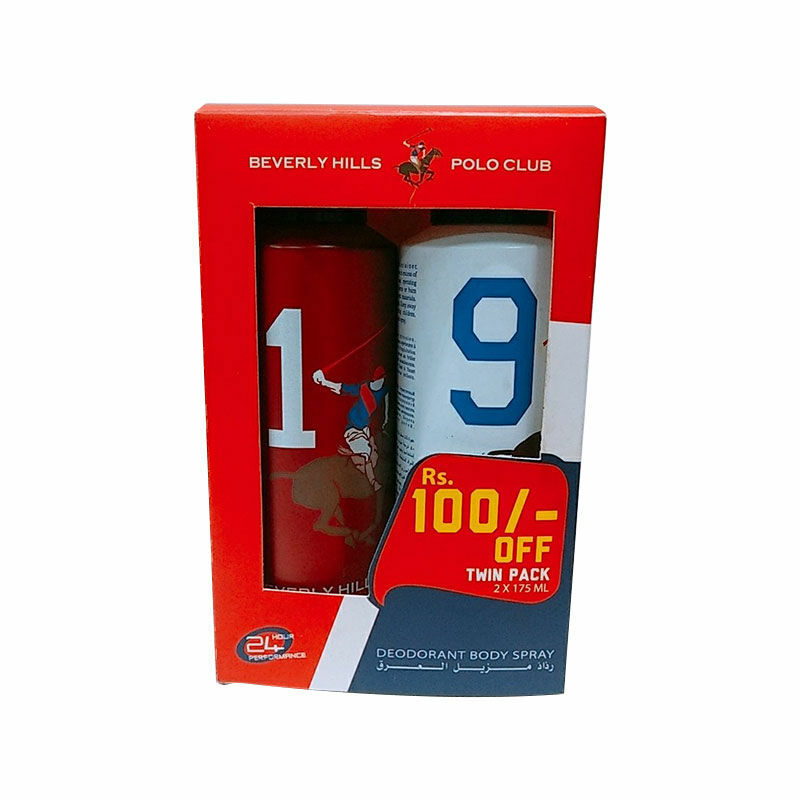 Beverly Hills Polo Club Sport Deo no. 1 - A well balanced fragrance between freshness and charisma. Top notes of pamplemousse tangerine and lemon mixed with an aromatic heart of lavender, spiced up with cardamom and melted on ozonic notes. The trial is comprised of cedar musk, incense and tobacco aspects. Beverly Hills Polo Club Sport Deo no. 9 - The masculine fragrance top notes are lemon, mandarin, bergamot over a luminous fresh scent followed by a mix of patchouli, cedar and vetiver in the heart, blend harmoniously creating a feeling of well being. It settles down at the bottom with notes of gray amber and musk. About the Brand: Established in 1982, Beverly Hills Polo Club a world-famous brand inspired by both the luxury and heritage of Beverly Hills and is an ultimate experience itself. The brand evokes a sense of elegance and captures the excitement of the sport of Polo. BHPC has a wide range of Clothing, Fragrances and Accessories that are a perfect epitome of luxury, style and comfort.